SHAZAM! No wait those weren't the incantations, Uh oh! Whoooooooooooooaaaa!!! I am Mickey Mouse! Disney Sensation for nearly a century! And you? There was a disturbance in the Organization XIII home world. 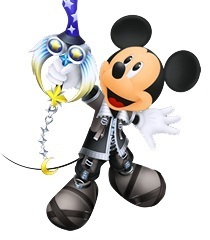 I want you, Sora, and Riku to check it out.